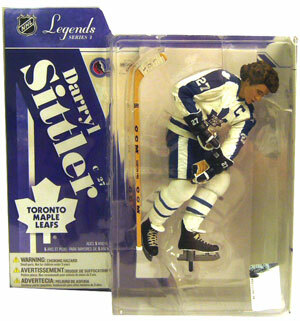 Description Of Item: Darryl Sittler's Hall-of-Fame career is best illustrated by one dominant performance. On Feb. 7, 1976, he set a league record by accumulating 10 points in one game, with a pair of assists in the first period, three goals and two assists in the second and another hat trick in the third against Boston. Sittler is remembered in Toronto as perhaps the finest player to ever wear the Maple Leafs uniform.